April 3, 2018 – This morning I woke up to a crystal clear sunny morning in Seattle. (Granted, we had hail yesterday…but I digress…) Spring is one of my favorite times of the year. It seems as if everyone and everything is waking up, blooming and getting ready for the longer days ahead. While some respond immediately to the change, others need a firm nudge to get back into the spring swing of things. Getting outside, giving the yard some post-winter attention, maybe pulling out the bike or going for a run are all things that call to your mind, but your body doesn’t always follow suit. In Japan, a study was done with 84 individuals. They asked equal numbers of participants to spend time outdoors in a forest and in the heart of the city. The ones who hung out in the forest exploring had a 16% drop in cortisol. Their blood pressure also dropped 2% and they had a 4% dip in their heart rate! We’ve had so many customers tell us what a big difference sitting outside in their hot tub every night has made for them. Some take in the stars in the night sky, others enjoy the way their yard looks in the evening. Yet others love taking in the view of Mt. Rainier or Puget Sound. 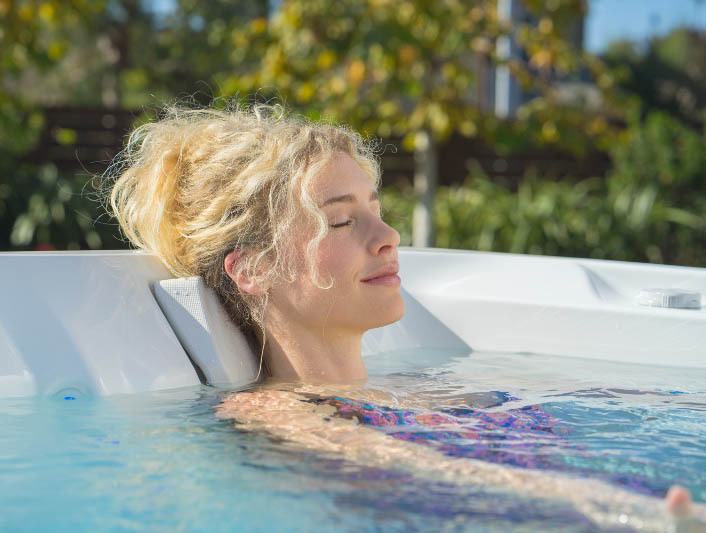 Years ago, one customer living on Orcas Island reported the wonder at seeing whales while soaking in their new Hot Spring Spa the first week and it changed their whole outlook on what their tub was going to do for them! So…it’s time to wake up to spring! It’s here, and we in the Northwest know so well what a treasure a nice day here is. Make the most of the season and use your hot tub to get you outside and enjoy all the wonders of our region.